Russia has condemned the American government after leaked documents revealed that Arseniy Yatsenyuk, Ukraine’s current Prime Minister, is really Richard Melville Hall, otherwise known as Moby to his fans. “It was a clever scheme,” says Russian FM Boris Molotauve. “The Americans replaced Arseniy years ago with the CIA trained Moby. The two share an uncanny resemblance, and the Americans used this fact to their advantage.” The trove of documents reveal Moby’s unlikely journey from DJ to political power house. The American government has denied the veracity of the documents. "This is just another attempt by the Kremlin to destabilize Ukraine," says White House spokesman John Smith. 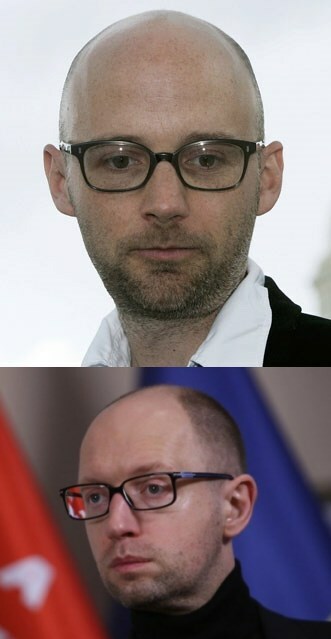 "No matter what Russia would like the world to believe, Moby is not and has never been the Prime Minister of Ukraine."